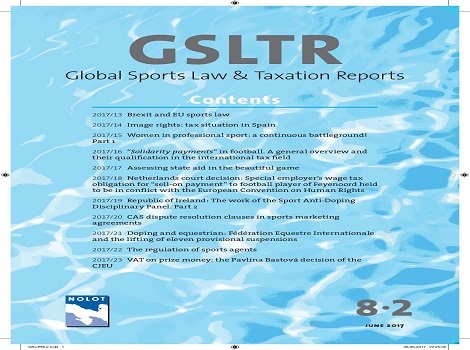 The latest edition of the Global Sports Law and Taxation Reports includes an article by Laura Donnellan on “Doping and equestrian: Fédération Equestre Internationale and the lifting of eleven provisional suspensions” and an article by Adjunct Professor, David Barniville SC entitled: “Republic of Ireland: The work of the Sport Anti-Doping Disciplinary Panel. Part 2”. Professor Barniville is a vice-chairman of the Irish Sport Anti-Doping Disciplinary Panel.